As much as I hate putting up another blog before Hugh gets his full 24 hours, I need to tell you that this week on the eharlequin site I'm chatting with whoever drops by on the subject of "Romancing the Boss in honor of the release of The Boss's Wife For A Week. If you click on that link it should (I hope) take you there. And I do hope you'll drop by because I'm going to feel pretty silly talking to myself. Spence and Sadie have already turned up. Jayne from eharlequin was so taken with Spence when she dropped by the blog here that she stole his comments and put them up there. What she doesn't realize is that Spence is A Force To Be Reckoned With and will very likely be talking about a whole lot of things unless he's firmly reined in. While I expect he'll reappear there tomorrow sometime, I hope you will, too. And if you have recommendations for great " Boss" or Business setting romances from your keeper shelves, please drop in and let us all know about them. 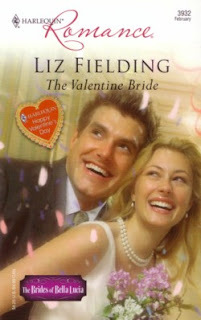 My most recent favorite Boss (Spence excepted of course) is Liz Fielding's Max Valentine from The Valentine Bride. I have others on my shelves at home but since I'm not there, I can't tell you the exact titles. But I remember some Charlotte Lamb books and some Jane Donnellys that were terrific. Which "Boss" romances do you remember well? Come by the eharlequin site and tell us about them.